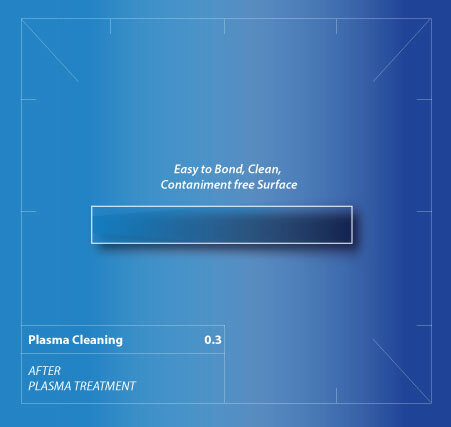 Plasma cleaning is a proven, effective, economical and environmentally safe method for critical surface preparation. 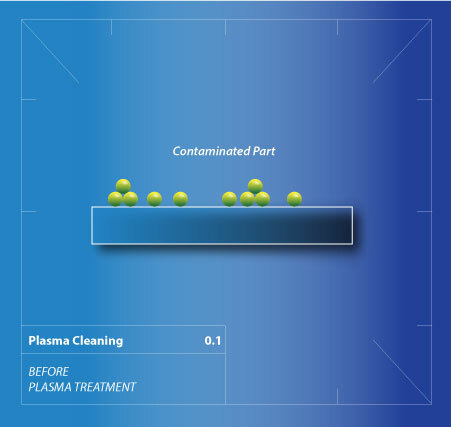 Plasma cleaning with oxygen plasma eliminates natural and technical oils & grease at the nano-scale and reduces contamination up to 6 fold when compared with traditional wet cleaning methods, including solvent cleaning residues themselves. Plasma cleaning produces a pristine surface, ready for bonding or further processing, without any harmful waste material. Ultra-violet light generated in the plasma is very effective in the breaking most organic bonds of surface contaminants. This helps to break apart oils and grease. 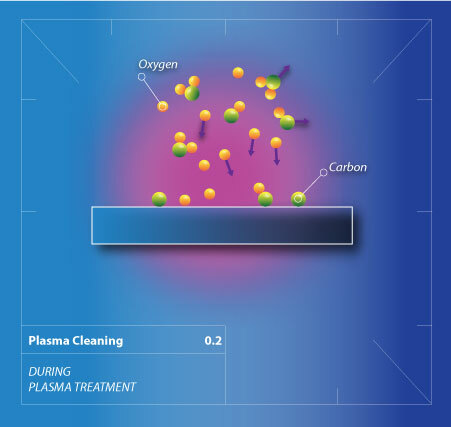 A second cleaning action is carried out by the energetic oxygen species created in the plasma. These species react with organic contaminants to form mainly water and carbon dioxide which are continuously removed (pumped away) from the chamber during processing. 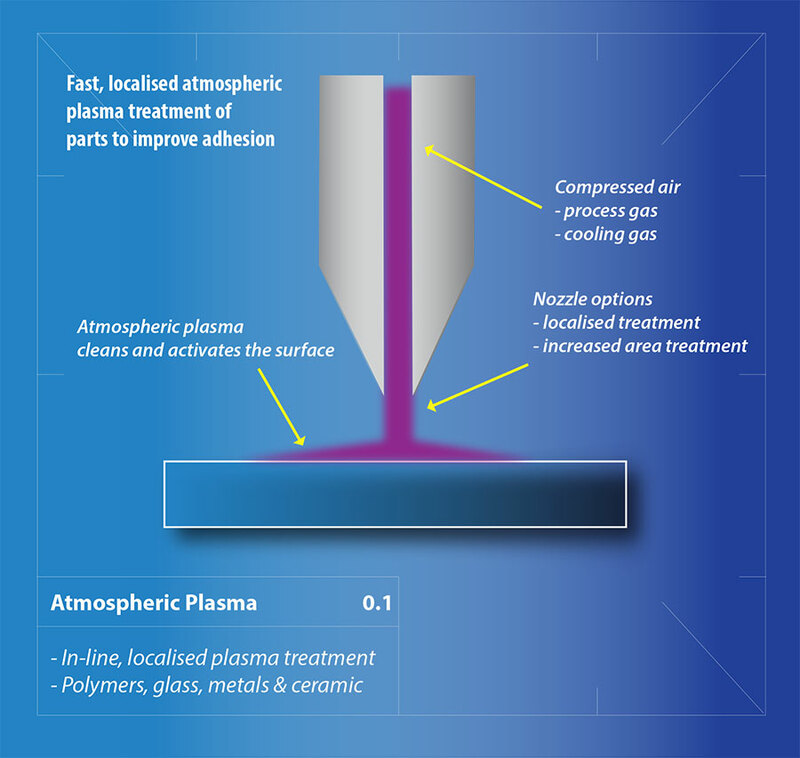 If the part to be plasma cleaned consists of easily oxidised materials such as silver or copper, inert gases such as argon or helium are used instead. The plasma activated atoms and ions behave like a molecular sandblast and can break down organic contaminants. These contaminants are again vaporised and evacuated from the chamber during processing.